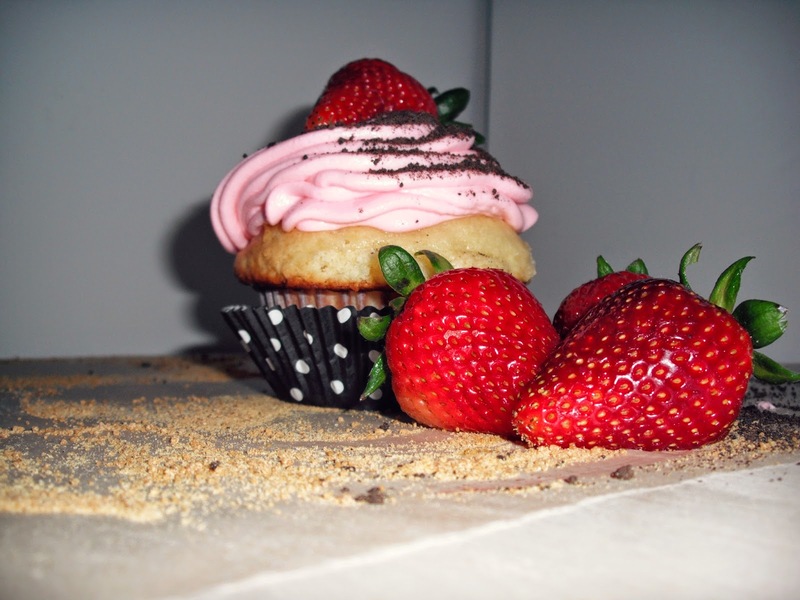 Feeding My Addiction: Strawberry Cheesecake Cupcakes and an Announcement! 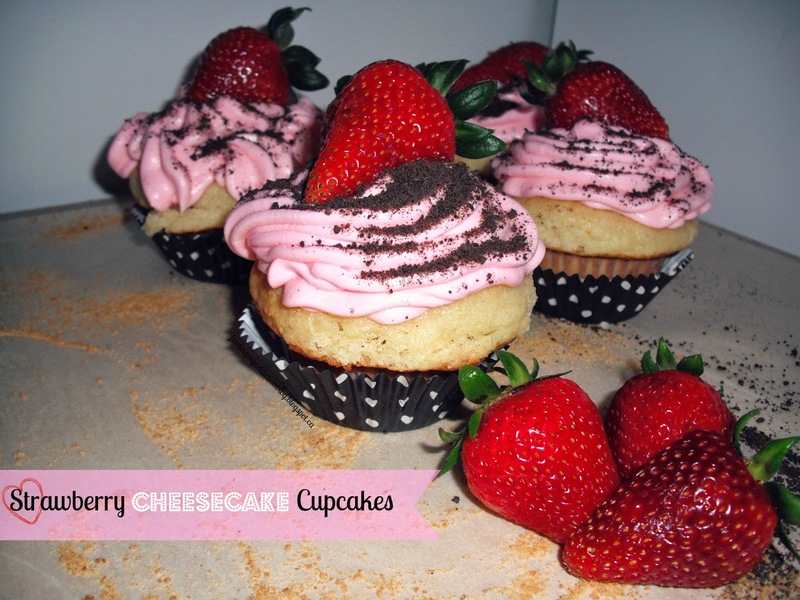 Strawberry Cheesecake Cupcakes and an Announcement! 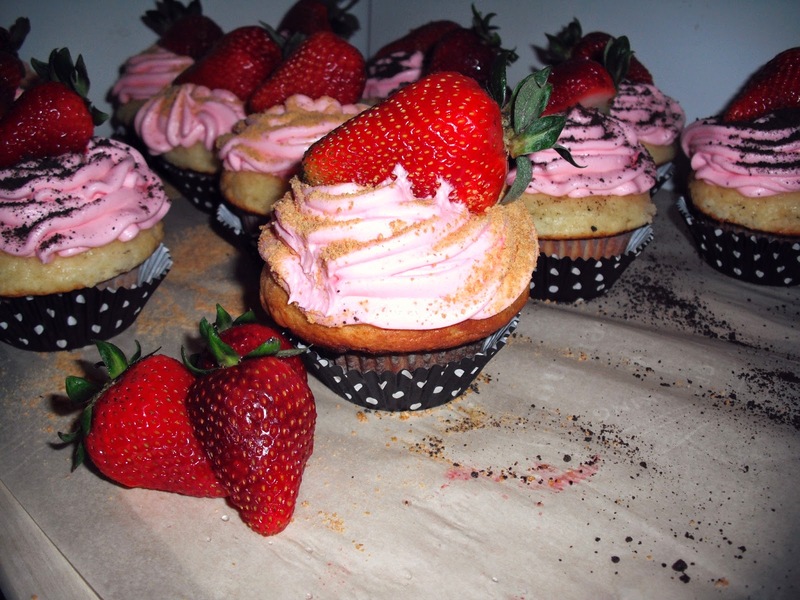 Just popping by to show you these Mother's Day cupcakes I had made a short (long?) while ago. I spent a good chunk of time last night switching my domain to a .com host. I will still be using blogspot as my publisher and nothing else will change. I feel like this is a coming of age for my little baby blog. A dotcom address. Oh how the time flies! Now it's simple. www.feedingmyaddiction.com. Simple is good. Also the theme/design has changed a bit--hopefully you noticed/approve! I won't jibber jabber on--but these are the most special cupcakes in honour of the most special lady I know. SO know that they are pretty darn delicious for such a big occasion. 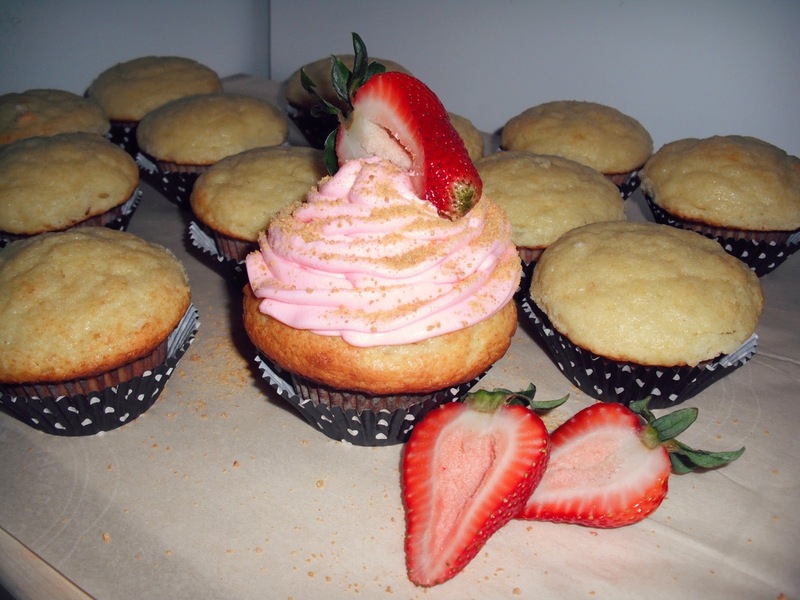 Strawberry Cheesecake Cupcakes are a light vanilla cupcake with cream cheese frosting and a graham cracker/strawberry garnish. The pictures will speak for themselves, but these cupcakes are beautiful and just welcome in a sunny beautiful Mother's Day like no other cupcake could! I hope you spent the day with family and those you love on Sunday! 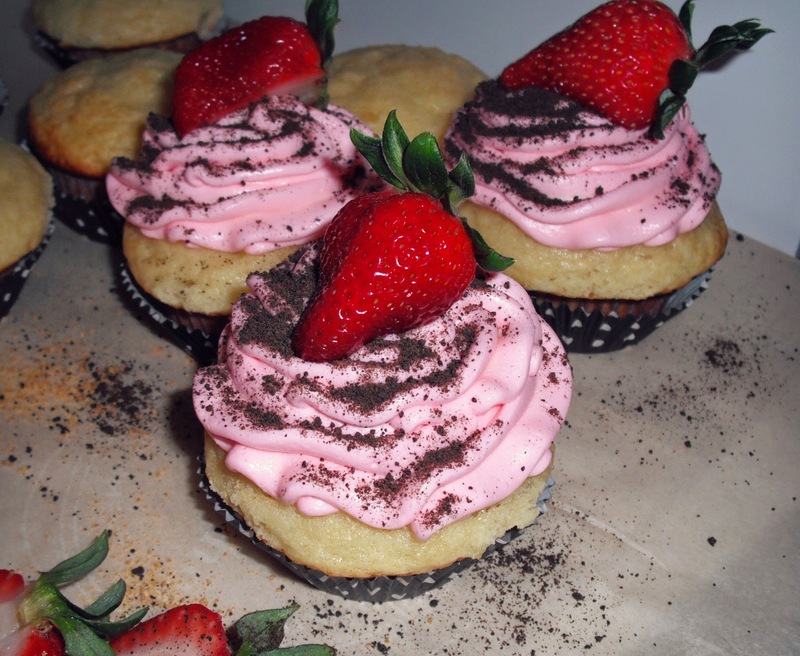 Let's talk cupcakes! Because...just look at that! Graham cracker crumbs and oreo crumbs! MMM! Let's get to the recipe and more pictures! Mix together cream cheese and butter ensuring they are at room temperature. Beat until fluffy. 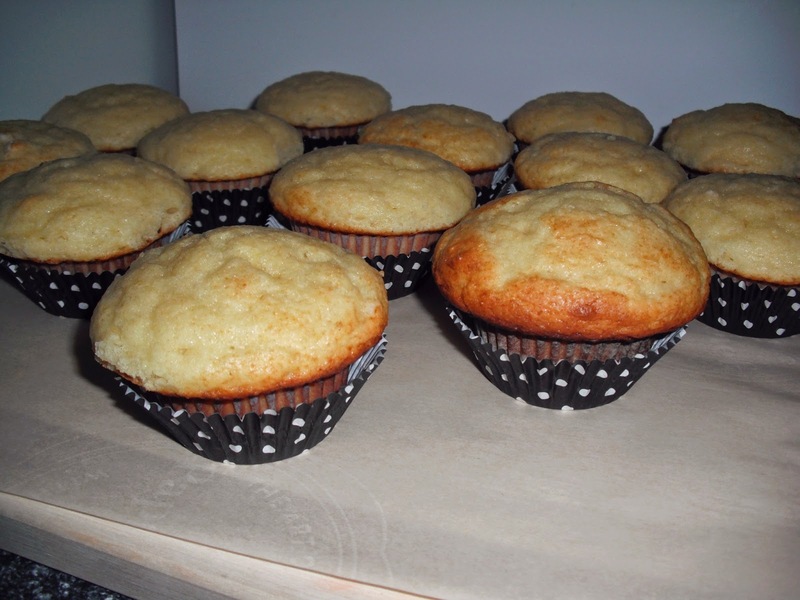 Gradually add in icing sugar (1 cup at a time) until fully combined. Add in icing sugar and food colouring and mix until fully combined. 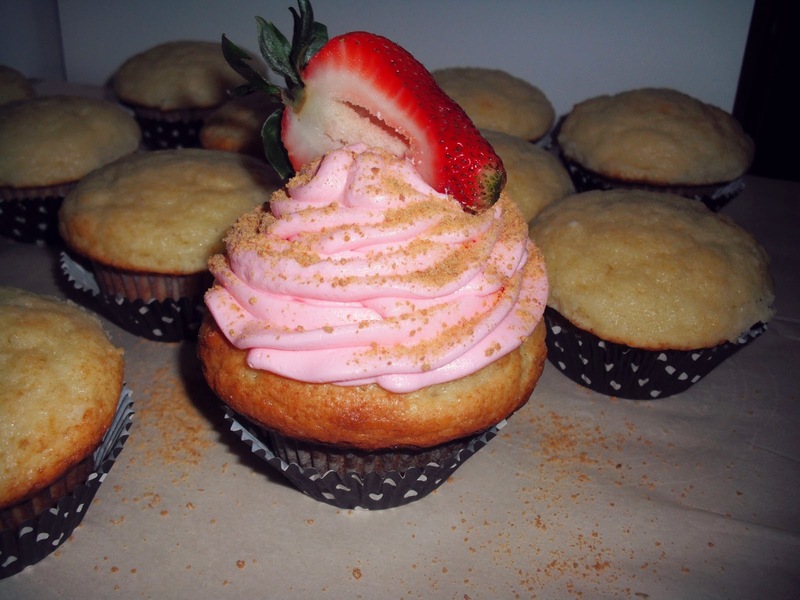 Pipe on to cupcakes, top with crushed graham crackers and serve with a strawberry on top! There are no limits here! 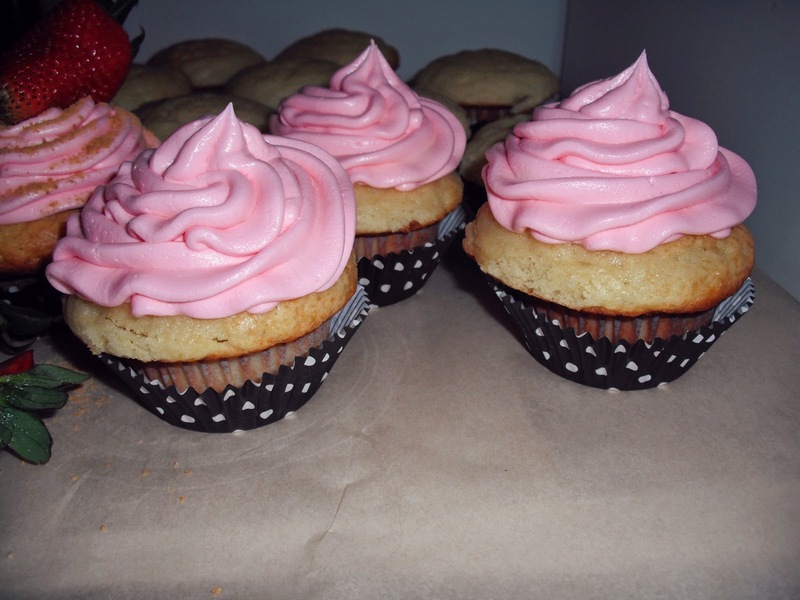 You can use lemon cupcakes with strawberry buttercream, or just flavour the buttercream, it is totally up to you! These were for my mama, and her favourite cake flavour is vanilla, so for me, vanilla was perfect all on its own! Look how pretty they are, even ..*GASP* NAKED! They look like an army of cupcakes with cute polka dot underoos on. But alas, I am a girl and don't we love our clothes? And some toppings, of COURSE! Gives it the cheesecake vibe! I was in shock while photographing these beauties. 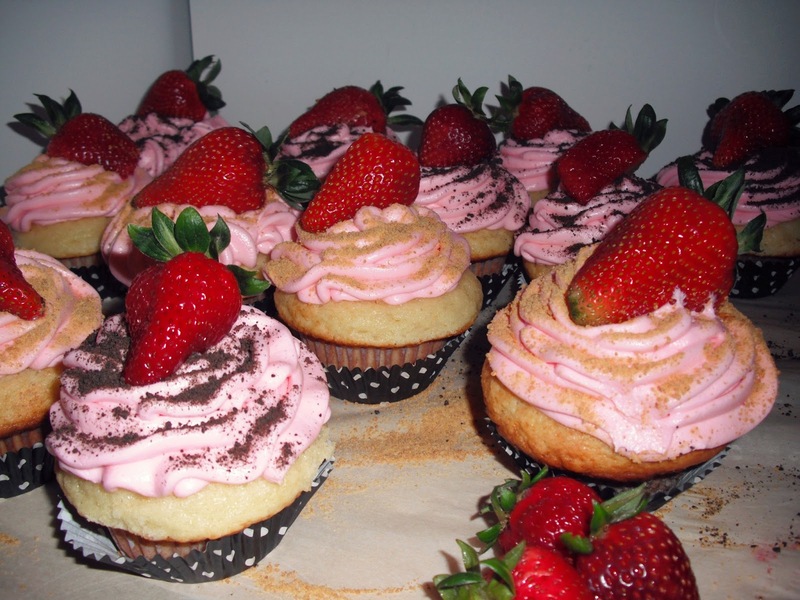 Nothing is more beautiful to me than fresh fruit, simple designs and an army of cupcakes!!! The frosting sets up to a thick and delicious notably creamcheesy flavour that's there but not overpowering. It's the perfect balance! I hope you try these, I promise you the flavour combination is unreal! So fresh and sweet. Feel free to be creative! I think lemon flavour cupcakes with the frosting would pair really well! Real talk. You need you some of these. Mmm yes, you do.